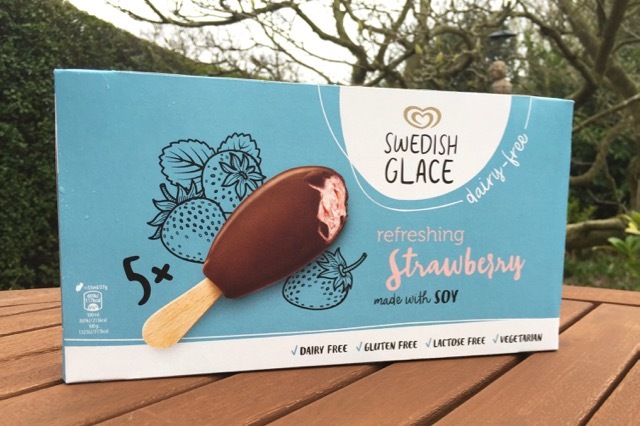 Strawberry flavour choccy-coated soya ice creams... on sticks. 5 in a pack. These have been available for a month or two at the big supermarkets, and have appeared at the same time as some own-brand alternatives (which we'll review later).